Last week I was at Disney World on a celebration trip! Exactly one year ago, my daughter was rushed into emergency surgery for a massive brain tumor and we almost lost her, so we were celebrating her 6th birthday in a big way! We danced with princesses, fought with pirates, and enjoyed fireworks and rides! Then I learned that Disney World was on high alert for a potential terrorist attack. 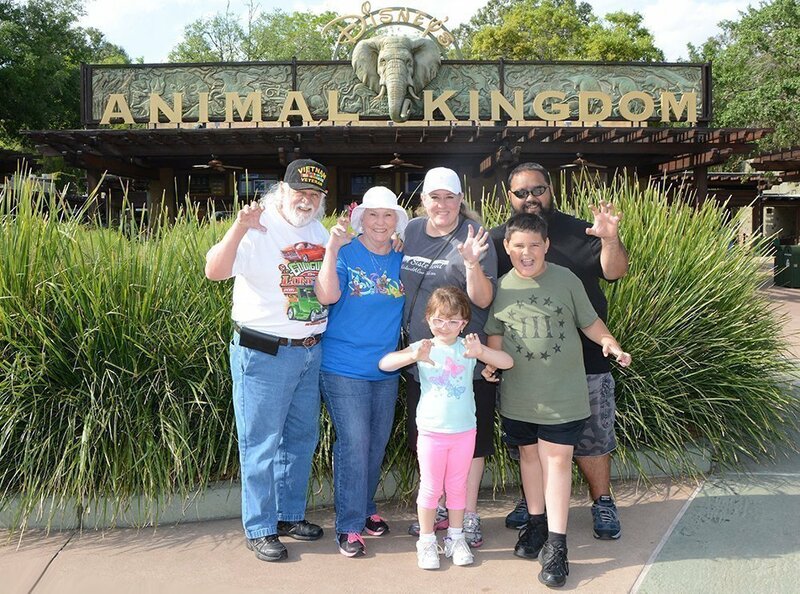 I pulled my family aside and we had a mini-training session at the front gates of the Animal Kingdom. I turned to my 9-year-old son and asked, “If I say, ‘get down!’ do you know what that means?” I assumed that he would know to hit the deck, but he began acting out Home Alone-style boobytrap ideas complete with tarantulas and paint cans. I reviewed with them what I remembered from our recent #TrainingTipTuesday discussion on Creating a Family Emergency Plan. We identified our action words, what they meant, and created a plan. The entire conversation took about 5 minutes, and then we identified exit routes and cover on the path to DinoLand USA. I felt confident that we had a plan and we were all on the same page, and proud of my children and parents for knowing what to do in an emergency. I loved that my AG & AG resources armed me with knowledge when I was unable to carry my firearm. Plus, our family had come too far over the past year to let anyone harm us now, especially at the happiest place on Earth!